This skirted bathtub with right drain is part of Valley Acrylic's Signature Series and is a classic style that could fit into any bathrooms dicor. High gloss acrylic structure ensures the quality and durability. All of Valleys Signature Series products are manufactured in Mission, British Columbia, hence guaranteeing that these products are 100% made in Canada, and meets the excellent quality standards that are required by Canadian companies. Taking its design cues from traditional Craftsman furniture, the Archer line of baths reveals bevelled edges and curved bases for a clean, sophisticated style. This bath offers a low step-over height while allowing for deep, comfortable soaking. Lumbar arch gently support the natural curves of your body. Traditional design influences can be seen on the Archer Soaking Tub, giving your bathroom a touch of understated elegance. The tub features a deep soaking space yet has a low step-over height. It offers comfort with its lumbar arch to support your body. MAAX New Town 6030 (IFS) microjet whirlpool tub is perfect for any renovation and remodelling projects at an affordable price. With its 10 discreet microjets, this whirlpool system offers a clean look and very effective massage. Strategically placed, these microjets provide an encompassing massage you will want to enjoy every day. Control the intensity of the jets, from very gentle to very strong. 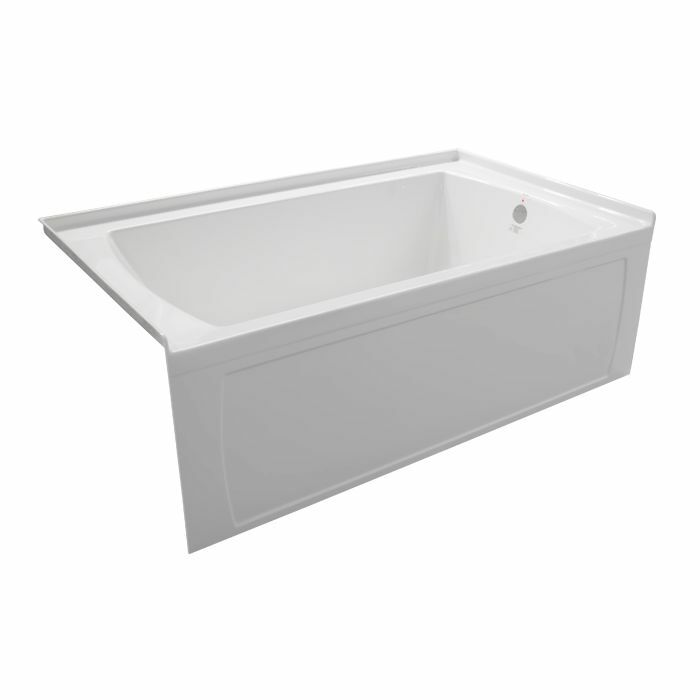 The New Town tub features an integral apron with access panel and tiling flange for alcove installation. Minimalist inspired design with clean lines and modern look. Its spacious interior features discreet integrated armrests for additional comfort. Ample deck space for faucet installation. Oro 60x30 Skirted Tub With Right-hand Drain This skirted bathtub with right drain is part of Valley Acrylic's Signature Series and is a classic style that could fit into any bathrooms dicor. High gloss acrylic structure ensures the quality and durability. All of Valleys Signature Series products are manufactured in Mission, British Columbia, hence guaranteeing that these products are 100% made in Canada, and meets the excellent quality standards that are required by Canadian companies.